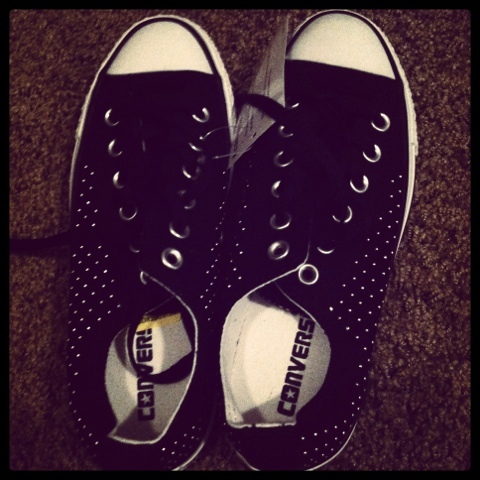 Excited to wear these cute studded Converse that I got for $35 @ Nordy Rack yesterday! My polish of the week! 2003, last time I used this bag! ?